The Morgan Motor Company is an icon of British motor manufacturing. CAI have been working with Morgan since the 90's. 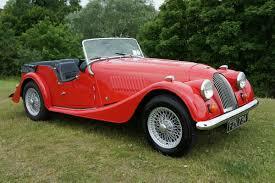 We have customised many vehicle sets for Morgan including those for anniversary models. We have assisted with digital communication development by designing and supplying CAN gateways. It says Morgan on the car, but 'Smiths' is written all over it. The SMITHS-Morgan relationship goes back to the early 1950's when marques such as the original 4/4, the Plus4 and the Plus8 exhibited SMITHS instruments. Automotive components not only included the Speedomter and Tachometer but also tank units and gearboxes, which were also manufactured by the SMITHS group. CAI's evolution from our SMITHS heritage, has ensured a continuing customer relationship with the Morgan Motor Company, from authentic SMITHS gauges to new bespoke projects. 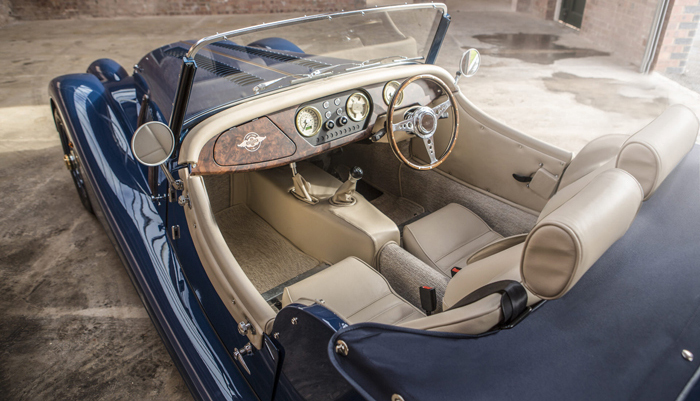 The Morgan Roadster V6, is one of the most powerful of all the cars in the Morgan Classic Range. 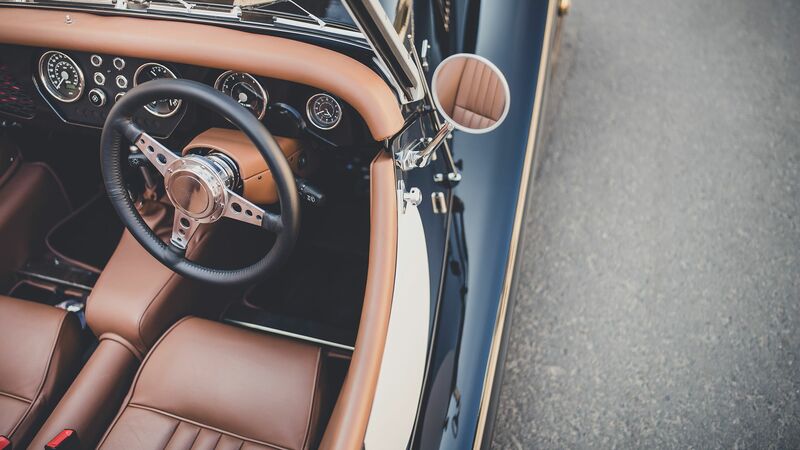 With an overall weight of only 950kg, this aluminium car spells a power to weight ratio of around 300bhp per tonne.The Morgan Motor Company V6 Roadster CAI designed 60mm Time Clock is in-keeping with the style of the other gauges in the car. 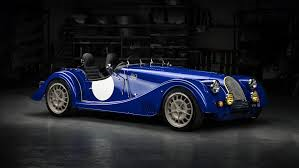 To celebrate the 80th anniversary of the Morgan 4/4, the Morgan Motor company produced the limited edition4/4 . In all, only 80 vehicles were produced, each entirely hand crafted and featuring many new features inspired by the first cars. All of the gauges for the vehicle were designed and manufactured by CAI. They consist of a Speedometer in both MPH and KM/H variant, a Tachometer measuring revs up to 8K and a 3 in 1 Oil Fuel and Temperature monitoring Gauges. 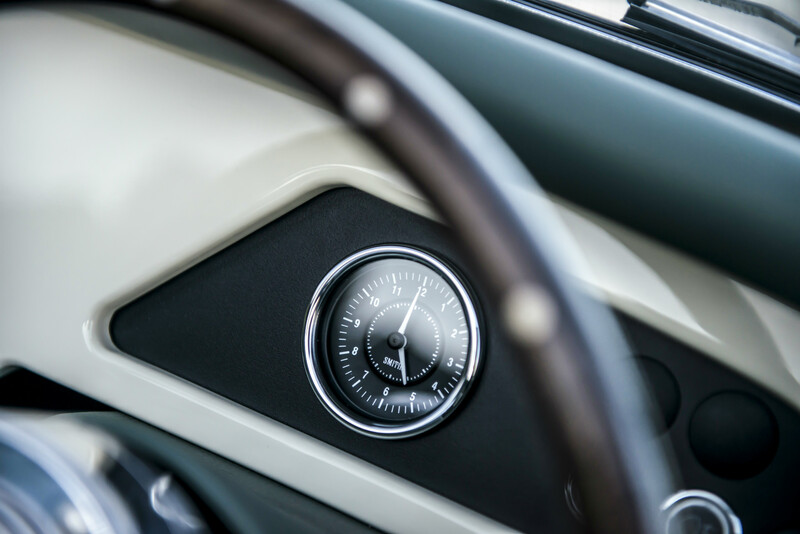 The gauges which are mounted in the matte lacquered walnut dashboard are classic period SMITHS dials with magnolia dial faces and brass bezels. Each dial has been designed and manufactured using original SMITHS tools, ensuring the authenticity of the look and feel of the Morgan.